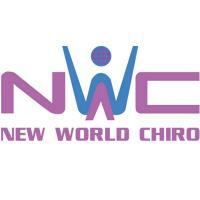 Welcome to New World Chiro - a chiropractic clinic located in Parramatta. Dr Rosemarie Jabbour (Chiropractor) and her team have been providing chiropractic care, and their best service, to the local community for over 20 years. SYDNEY – 31 January 2019 - As children head back to school across the country, Sydney chiropractor Dr Rosemarie Jabbour (Chiropractor) would like to remind parents and guardians that heavy, poorly fitted and over-packed school bags may lead to spinal health problems in children. Dr Jabbour (Chiropractor) advises parents that spinal health and postural problems may go unnoticed for some time. It pays to be posture aware and to ensure children are as comfortable as possible when they head off to school. “School bags fully packed with heavy text books, tablets, lunch and stationary can place excessive pressure on young, developing bodies and the spine. It’s known that carrying heavy loads may increase the risk of back and neck pain,” Dr Jabbour (Chiropractor) said. Dr Jabbour (Chiropractor) has been a chiropractor in Parramatta for over 25 years and knows that carrying heavy loads is a common cause of lower back pain and injury. “I see it all the time - people carrying heavy loads, using incorrect lifting technique or straining under the weight of overpacked bags - it’s a common cause of injury, especially if your posture is slightly off in the first place,” Dr Jabbour said. According to the Australian Chiropractors Association, up to 300,000 patient visits are made to Australian chiropractors every week. Chiropractic care is concerned with the diagnosis, management and prevention of mechanical disorders of the musculoskeletal system, and the effects of these disorders on the function of the nervous system and general health. Chiropractic is a low risk profession with an enviable safety record in Australia, a result of evidence-based care delivered by five-year university educated healthcare professionals. For more information on maintaining a healthy spine, please visit the website of the Australian Chiropractors Association at www.chiropractors.asn.au or New World Chiro at www.newworldchiro.com.au.